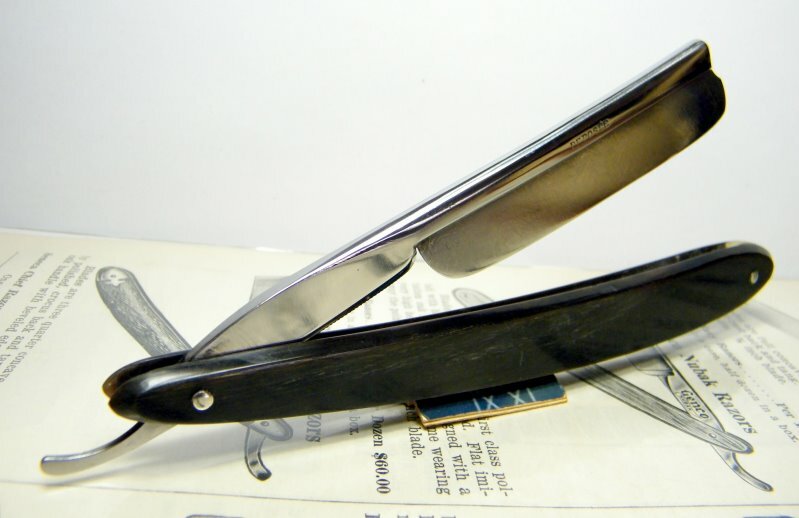 STRAZORS.com - all about classic razors - Belgian frameback razor with Damascus pattern - Monnoyer Namur Le Bebe. 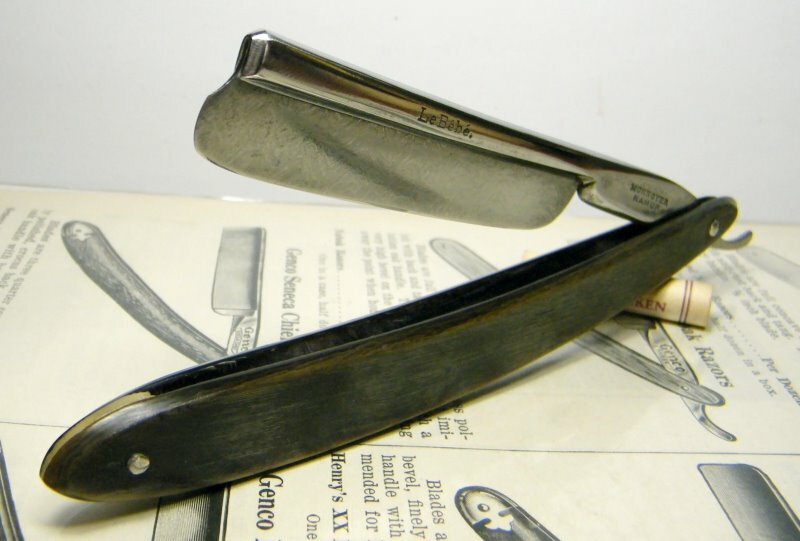 The razor was made at the second half of the 19th century by Joseph-Pierre Monnoyer, Namur, Belgium. The blade is 11/16, frameback. 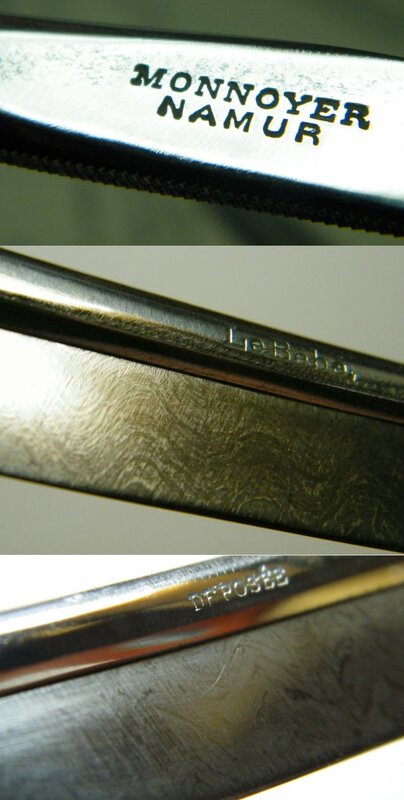 There's a Damascus pattern on the blade.